This is a Skywalk lunch rush institution. Location: 501 Locust St. 2nd Floor, Des Moines, in Skywalk. Directions: Enter building through parking ramp and go up stairs or elevator, skywalk intersection is in middle of the building. Special Note: This comes in a different shape each time I order one. 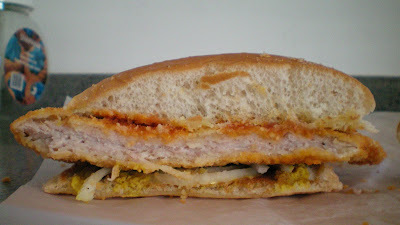 Its not always in the pork loin shape seen in these pictures. Sometimes its pounded into a rounder, wider shape. Price: $4.79, available in a "value basket" with onion rings, fries, and coleslaw for $7.29 actually served in two baskets. Service: Just counter service with your receipt number screamed when your order is ready. Ambiance: There are pink neon lights everywhere, and the eating area is lit brightly. A TV plays soap operas all day. The smoking section was closed a few years ago, previously smoke would float everywhere. Also on the Menu: Loose meat burgers, gyros, hot dogs, onion rings, walking tacos. Closing Comments: This Skywalk diner suffers the same fate as any place in the Des Moines Skywalk. Its busy during the workday, and may have a line going to the door during the lunch rush. Its nearly abandoned after five and on weekends. 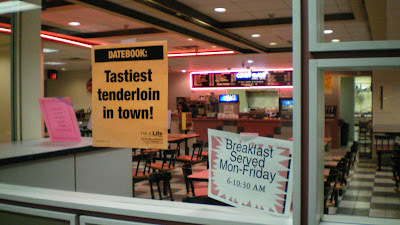 The tenderloin is huge and thick, what else could you want..
Update: This placed closed in the summer of 2008. 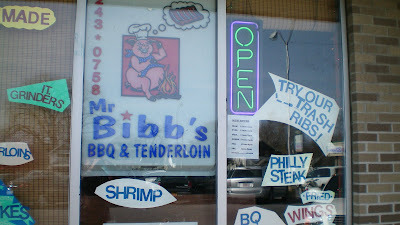 This African-American owned restaurant recently relocated to the East Side from its old home in the Drake Neighborhood. Directions: 2 blocks north of freeway exit on East 14th and University. 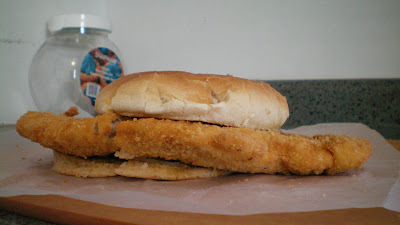 The Tenderloin: This is clearly a homemade tenderloin, pounded thin into an asymmetrical shape. 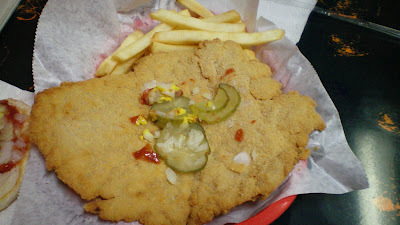 The tenderloin was thinner in some parts than others, with "cracks" in its shape forming short arms. There was a small hole in the center from being beaten too hard. 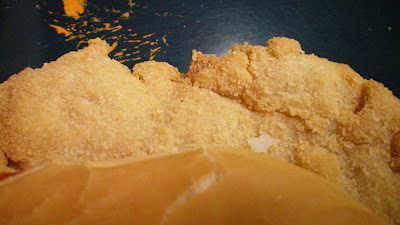 The breading uses generous amounts of flour, and keeps a powdery texture. 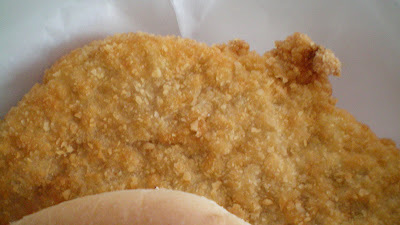 There is no crunch upon biting, but the breading does stick to your mouth. The pork is tender and moist without being juicy. 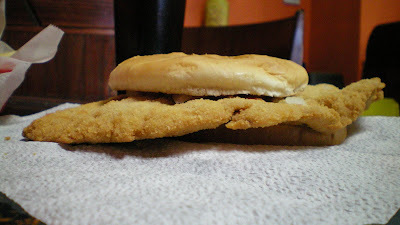 The edges are easily pulled apart from the area beneath the bun. 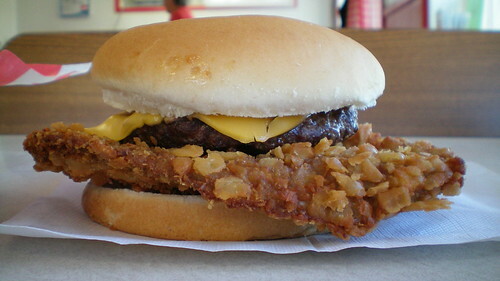 It is served on a toasted bun, with onions suspended in ketchup and mustard on top. Overall: 6/10. 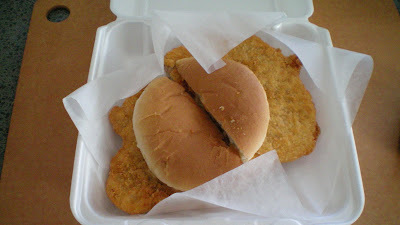 Price: $4.99 With Fries, also available Deluxe Tenderloin with tomato, lettuce etc. for $5.49. Service: Counter service with food brought to your table when its not busy inside. The food takes time to prepare, many may be waiting at the same time in front of the counter. Ambiance: the old location was mostly wood paneling and pictures of Martin Luther King. The new location was a Mexican restaurant, and has not been remodeled. There is a purple and orange color scheme with Mayan Pyramid shapes carved into the stalls and pictures of Jesus everywhere. 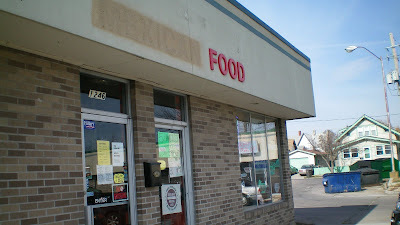 The strip mall contains places for Thai and Vietnamese food, along with many empty areas. The word Mexican has been removed from the Mexican Food sign. Also on the menu: Fried Chicken, Catfish, Beef Brisket, BBQ Sandwiches, Okra, Red Beans and Rice, Philly Steak, Grinders and much more. Closing Comments: The location has changed but the Tenderloin remains the same. Its good, but too thin and powdery. The problems with the decor will be remedied soon enough.